So, is the Walt Disney Studios book worth adding to your Disney book collection? UPDATE (09/26/2016): The book has been recalled and copies are no longer being sold. As of this post, no additional release dates are available. All I can surmise is that there were a few mistakes in the text and captions for the photos. This book is now one of the rarest titles available! It’s a coffee-style book and measures 10 inches by 13 inches. This gives plenty of room to showcase photos from almost 100 years of history. 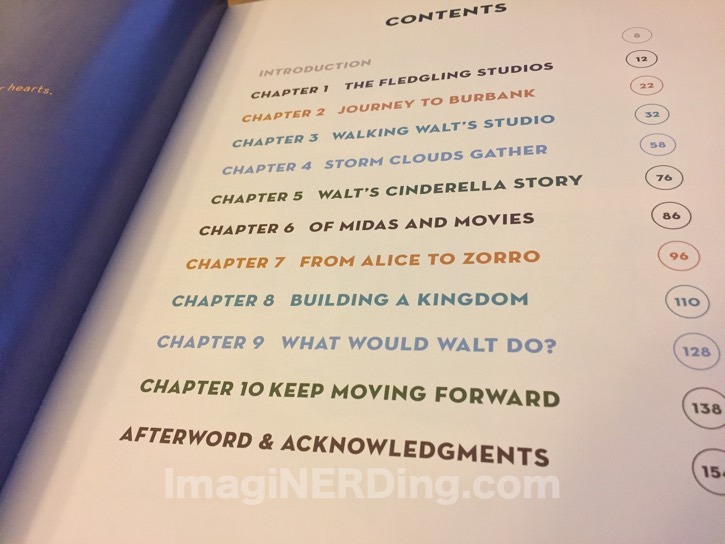 There are 160 pages, which offers the casual Disney fan a decent overview of the studio’s history and changes. After devouring the book, I do have to say that there’s not much new for the Disney enthusiast. Especially, if you’ve already invested time reading biographies and other books about animation. Obviously, the authors wrote for the lowest common denominator, which is apparent in the subjects that are touched. Disney historians will still need to buy this book, but they’ll enjoy the photos and the end pages the most, which feature the layout of the studios over the years. It’s arranged semi-chronologically and details the major events and productions of the studio. The first few chapters share the early days of the studio, including the time at Uncle Robert’s garage, the Kingswell property and the infamous Hyperion days. The earliest days prior to and during the Hyperion location are not very well documented and that’s what I’m most excited to see. The first few pages offer some floor plans and make you think that the book is going to be different than it ultimately ends up being. 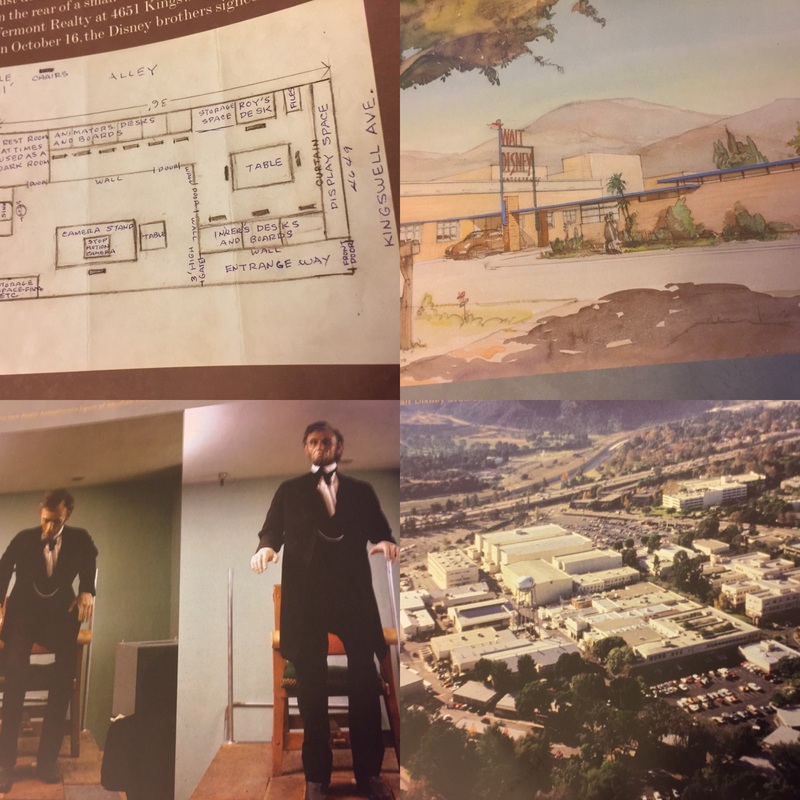 Once you get into the full production at the studio in the 1950s and 1960s, the focus of the book is on the projects and falls out of a strict chronological timeline. I’d still rather have space dedicated to the ensuing changes at the studios lot, not just the films that were produced there. There are some fantastic aerial shots over the years that chart the growth, but it just seems inadequate. The litany of films produced at the studios is incredibly impressive, but I just wanted more about the studio. Many of the films that I thought were filmed on location around the world were actually filmed on the backlot. Studio magic! There are introductions to many of the key personnel that helped build and shepherd the studios. We get a glimpse of all of the major departments and their relations. Still, the focus quickly builds to cover the important films produced at the lot. The book offers slightly less than 20 pages dedicated to the creation of Disneyland, but there are some fantastic photos of various attractions and ride vehicles under construction. Most of the stories will be familiar, but the photos are the real treasures. In one instance, they built a testing tank for the Submarine Voyage on the back lot behind the Ink and Paint building. It’s amazing to think of the iconic Disneyland attractions starting life at the studio. People are going to love the book since it takes a general look at the studios and the productions. Many of the photos are new to the published world, which will thrill most fans. Also, it’s great to have a one-volume history of the studios, despite the semi-flashy and corporate nature of the book. Ultimately, I found the book to offer amazing photographs and a decent history of the Walt Disney Studios; I still wanted the authors to nerd out a bit more, but you can’t please everyone. There’s no index or bibliography, which does compromise the historical value of the book, unless you consider it a primary source and you trust the authors. So, I do recommend the book for everyone, despite the minor shortcomings. The book will please all levels of fandom; just the nerdier ones will desire a bit more. What do you think about Walt Disney Studios: A Lot to Remember? not be sold or reprinted. I hope they do another print since it looks interesting. On Amazon there are a few for sale for a lot of $. I heard they handed some out at the D23 Expo last year. Interesting. Sounds like a good book.